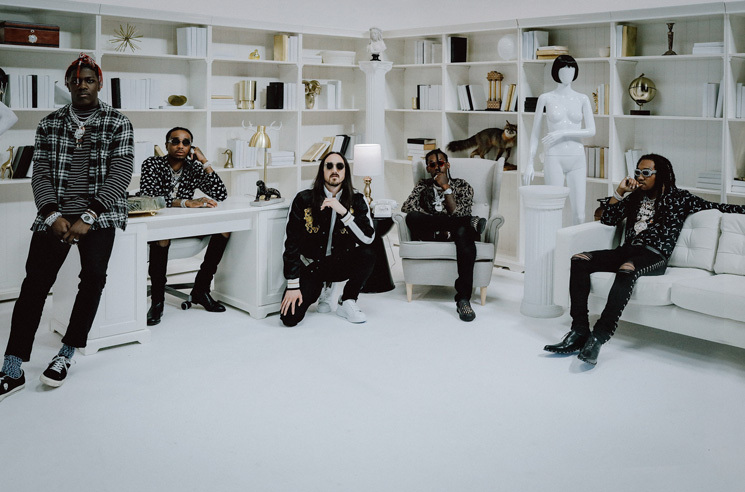 Steve Aoki teamed up with Migos and Lil Yachty for his "Nightcall" single last month, and now the producer has shared a video for the Kolony cut. The clip finds the five posted up in a lavish study, delivering their verses from some clean white furniture. As a press release explains, each video for Kolony finds Aoki and his collaborators in a different room of the Dim Mak mansion. Take in the clip below.